Jessica and Tori Knight from Liberty Belle, Clones, Co Monaghan. IT IS very foggy in Clones when we visit, an apt if obvious metaphor for the lack of clarity on what the future holds. When you think of the County Monaghan town you perhaps think of the colour and pomp of various Ulster football finals down the years, of the intensity on display at St Tiernach’s Park, of two tribes going toe-to-toe amid an almighty din. Today is not one of those days. It’s grey, it’s quiet, and that fog isn’t inclined to lift. More to the point, there is a feeling of some trepidation around. Clones, it is safe to say, is not at its most confident as February turns to March and the Brexit deadline becomes palpable. For local residents and business owners, the reality of a return to a hard border is increasingly difficult to dismiss from their thoughts. What will happen? Many fear the return of checkpoints, of armed soldiers, of a harrowing time that they have so desperately tried to forget known as The Troubles. Others think it won’t be that bad, surely? Still more believe that Theresa May will secure some sort of extension, and kick the can down the road a little. With football finals a long way away, it is the main topic of conversation. 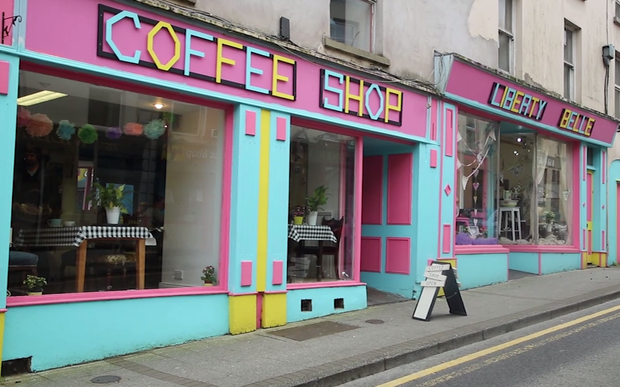 Despite being in business for over 25 years, one shop manager says he is more concerned about the impact a hard border would have on the Clones community. 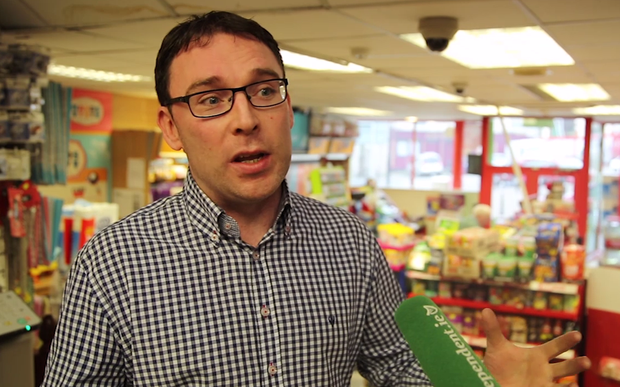 Eamon McCaughey, who runs the family-owned newsagents Matthews of Clones, described the vision as “a nightmare”. “After coming so far here in the last 20 years, to put up a hard border again, to stop people on their daily lives would have a negative impact and it would really upset what we have achieved here,” Mr McCaughey tells Independent.ie. 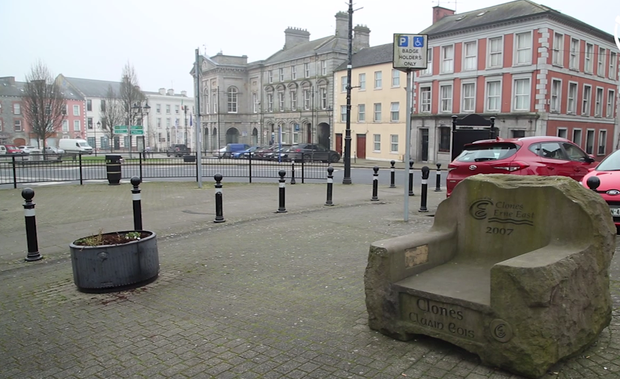 Many outsiders may not realise is that the town of Clones is split across two parishes – one in Northern Ireland in Fermanagh, and the other in the Republic in Monaghan. Eamon McCaughey of Matthews of Clones shop. “For a hard border to come up here, the disruption for daily life from getting from A to B, it’s hard to imagine. To get from here to Cavan you go in and out of the border several times,” Mr McCaughey says. Just down the road from Matthew’s is Liberty Belle, a lifestyle shop and newly-opened café owned by Jessica and Tori Knight, the daughters of local historian George Knight. They too have described a feeling of being “very nervous and uncertain” – a state of “limbo”. Clones, Co Monaghan lies on border of Fermanagh in Northern Ireland. “You spend so long building a business and a customer base, and a lot of our customers would be from across the border as well. It’s very difficult to even try and predict what’s going to happen, it’s a total mess,” Jessica Knight told Independent.ie. Tori touches on the worry of repeating the past: “We hear a lot of stories about what it was like before with the hard border. But you just have to keep going and keep at it,” she says. 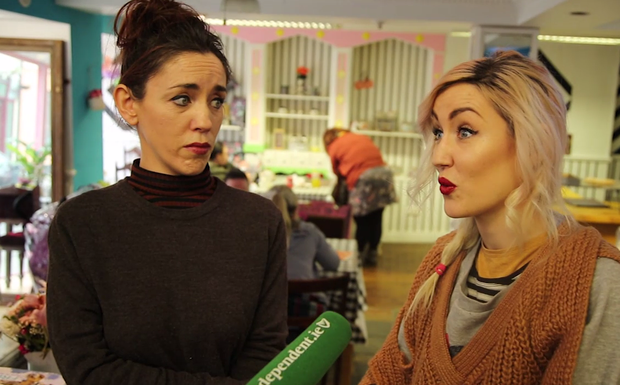 The town lies on the border, and locals are concerned about the return of a hard border. “Clones is still recovering from being a border town and The Troubles. It’s only starting to get a bit of a lift now again, and it’s just the fear of it going back to square one that’s unbearable to think about,” Jessica adds. Their biggest concern is their customers and their stock, some of which comes from Northern Ireland and London. “It’s a simple task, our customers coming in, the journey the regulars will have to make now,” Tori said. Another ten steps down is The Cuil Darach, a B&B and restaurant, where staff are trying to remain on the optimistic side of things. Barman Patrick Welsh – “originally from Stradbally, Co Laois but married to a Monaghan woman” – questions whether a hard border could be “good for the town”. “We’re getting a little itchier, a bit nervous to see what’s going to happen, but hopefully it’ll be good,” he said. But for local Sinn Fein councillor Pat Treanor, his experience from the past is that “people stop coming altogether” when they realise how much of a journey it is to get over the border. 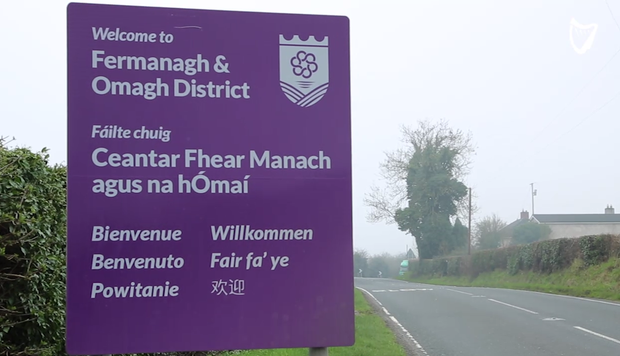 “Most of the businesses here get custom from Fermanagh, the hinterland goes into Fermanagh and five of the main roads lead into Fermanagh,” he told Independent.ie. Until March 29, when the world will find out if British Prime Minister Theresa May will present a deal or no-deal situation, the people of Clones must hold their breath and wait. “It’s the unknown and the fear of the unknown,” Mr McCaughey says. The fog fails to lift. Isil and al-Qaeda: How do the two Islamist militant groups differ?